Mercury could be considered an adapting planet, because it takes on the energies of the planet or angle it links up with. Mercury is the planet of the mind and has a great deal to do with the thinking process and communication techniques. Although Mercury by transit usually moves about one degree per day, while in retrograde which can last 3 weeks, it can, by direct and retrograde motion, move across the same area of an astrology chart three times. It energies would then become more significant, as you can imagine, as it is in aspect depending on which aspect we are speaking about for up to 7 degrees approaching and 2 degrees separating. While in retrograde, it could be in effect for many days and have a profound impact during this period especially if other planets are also involved in the equation. 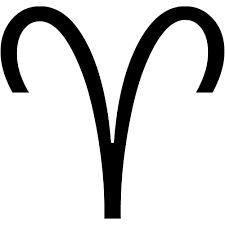 Venus is often about love and affection, life’s enjoyment, socializing and sometimes speaks of money and adornments. In some cases, it also speaks of young women. With Mercury conjunct Venus, this could be a time when we fall in love with someone and spend a great deal of time thinking about such person. Much will depend on the overall condition of Mercury in your chart as to how this thinking might unfold. If, for example, you have Mercury in favourable aspect to Neptune, this could create energies of a magical attraction. Because Neptune is involved, be sure that you are seeing things clearly, as Neptune tends to make things cloudy. 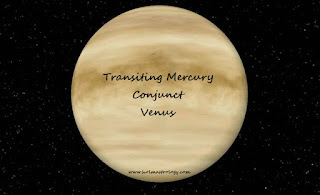 The sign positon of Mercury and Venus and the house position will help identify what area of life will be involved. If this is in the second house, for example, the finances might be the focus of attention but Venus usually suggests opportunities or good fortune especially if also tied to Jupiter by favourable aspect. If it is in the fifth house, for example, this could suggest a romantic encounter or it may be speaking of one of your children, possibly a daughter experiencing something along these lines. If the sixth house is tied into the equation, this could suggest that there are changes taking place within the working environment or with someone within that environment. As you can see, house position and aspect configuration are very significant when reading what an aspect is speaking of. If by chance Mercury is retrograde during this period, perhaps it will be wise to wait for the dust to settle and make your move or do what you are planning on doing once Mercury goes direct again. Mercury retrograde often points towards a time for reflection and planning, but is not always favoured for action. Do not let the retrograde motion stop you if you have been planning something over a long period of time and the day has now arrived. Astrology points the way, but you are always at the helm of your life’s motion. Utilizing your chart and the energies it speaks of can create an easier route but it seldom says do not take the route at all. We can build a house with power tools or we can build a house with hand tools. Either way the house gets built. Enjoy this time frame and if you have someone in your life that you are making a special connection with, the communication channels should be wide open and dialogue between the two of you can flow easily.